Obstacles are like logs in the river: they must be moved out of the way, but the effort needed is not large. Boy do I miss that vibe. Just like this summer in Texas, the rivers have been drying up and the current has been slowing down. Now, not only are the logs harder to get out of our way, even without them, moving the boat forward is a chore. Part of this is due to the Jupiter-Uranus-Pluto T-Square that we are in the middle of. Jupiter opposed Pluto on August 7th. It is still 5 days away from squaring Uranus. And even though the entire structure will then begin unwinding in earnest, Venus will move into the fourth corner of the Grand Cross firing it all back up again. On August 23rd, Venus squares Pluto; on the 26th, she opposes Uranus; and then on the 27th, she squares Jupiter. But don’t forget, the second of our Grand Sextiles will occur then too—namely on August 26th. Before we dredge all of that up again, I want to address what’s happening today. In about two and a half hours, Venus will enter 0o 0” Libra. In my mind, this is going to be like a cool front in the middle of summer—a subtle, soft break during a long, hot month. THE Aries point is 0o 0” Aries. However, 0o 0” of any Cardinal sign is also considered Aries points. These four points mark the onset of each season when the sun reaches them. In the Aries chart, these points also mark the angles: Ascendant (ASC), Imum Coeli (IM or Bottom of the Sky), Descendant (DSC), and Medium Coeli (MC or Mid-heaven). In my last post (Crossing the Horizon), I wrote about my experience with the sun crossing my personal Ascendant—a poignant shift of energy for sure. With Venus, this is the most significant of Aries points because she’s moving into one of the signs she rules. They say there are two sides to Venus: her love of money, and her love of relationship. Venus in Taurus is the money (and values) side; Venus in Libra is the relationship side. Aires or Aires Rising: Now is a good time to focus on relationship. Whether you’re in one or wanting one, think about how your experiences could be better. Maybe you’d like a bit more affection, maybe a romantic date. The ASC-DSC axis is all about being and reflecting. In a way, we have to be what we want. If you want more affection, be more affectionate. Think of it this way, if you give a good hug, you get a good hug simultaneously. Libra or Libra Rising: You’re on the other side of that same axis. You are naturally inclined toward relationship. But maybe you’re too inclined. How is your relationship with your self? Are you being all that you want to be? Are you able to identify yourself as something more than simply so-and-so’s partner? Are you getting enough me time? Cancer, Cancer Rising, Capricorn, Capricorn Rising: You’re not excluded—by any means. Venus is crossing your IC or MC. You might not be looking directly at a me-versus-you conflict, but the theme is still coloring your days. While the ASC-DSC axis is about seeing both sides of relationship, the IC-MC axis is somewhat about power. Maybe not so much about power within a relationship (although it certainly could be), but empowerment in general. Let’s consider two cards in the Tarot: The Emperor and Strength—number IV and number VIII. Tarot and Numerology are base-10; Astrology is base-12. So 4-8 in Tarot is a lot like 4th house-10th house in Astrology. 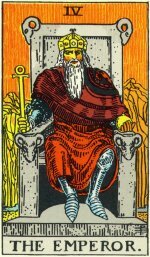 The Emperor, as a 4 and relating to the 4th house, is a man whose sense of empowerment has allowed him to gain the throne. There are lots of ways he could of gotten there, but the time highlighted by the card is when he is sitting. He is not doing—as is typical of the male vibe—he is being. 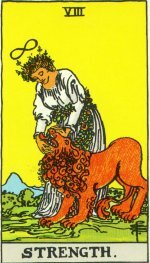 Strength, card #8, shows a woman petting a lion. This is an outward display of inner strength. However, she is not wrestling the lion. She is not defeating the lion. She is showing us that she has the strength and courage to be soft despite the risks. She is vulnerable to the lion for sure, but that is what courage is all about, right? What I love about today’s post as it flows out of my fingers, is the reversal of typical male and female positioning. In Astrology, the 4th house is decidedly feminine while the 10th house is decidedly masculine. But the cards we are associating with them show a man and a woman respectively. And that too is exemplified by Venus at 0o 0” Libra. Libra, as Air, is a masculine sign—albeit the most feminine of them perhaps. Next week’s Grand Cross is a Cardinal Cross—one planet in each of the four cardinal signs. That’s another reason I highlighted those four signs above. Grand Crosses are tense and conflicting; Cardinal is active, initiating, and motivated. Can we remain the seated Emperor and the soft, courageous lion tamer? Or will conflict and fear cause us to rise up out of our seats and wrestle the beasts? Each person gets to answer that for herself or himself. I’ve already failed to remain seated a few times these past two weeks and have the claw marks down my arms to prove it. But I’m back in my chair and practicing deep breaths…and patience. Yoga is helping too. And speaking of empowerment—check out my Events page. I will be attending Women’s Empowerment Day at the Abundant Wellness Center in Chicopee, MA on Saturday, September 14th. I will give a brief talk about my book and will be selling and signing copies. I’ll also be doing Tarot mini-Readings. 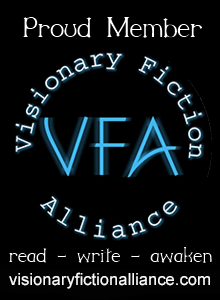 If you’d like something a bit more, on Friday, September 13th, I will be doing 30 and 60-minute readings at the center, and will then give a longer talk on the book in the evening. Wonderful news, David! Congrats on your book….